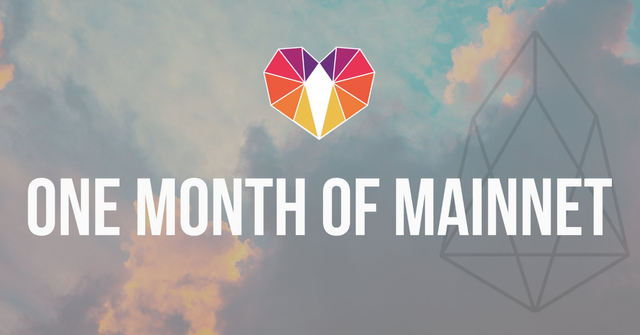 Happy One Month to The EOS Mainnet!! Happy One Month!! The EOS mainnet has been live for more than a month now, which is the equivalent of a lifetime in crypto years. If you like what we do and trust us, VOTE FOR US! Also, Feel free to send us your questions by email at info@eos9cat.com NOW!